INCLUDES 1 YEAR WARRANTY. 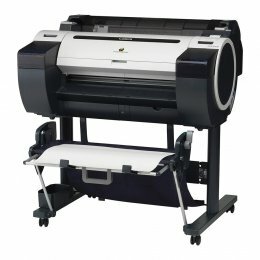 The ProGraf 785 is a 36", 5-color, large format printer for your technical documents as well as for general use. 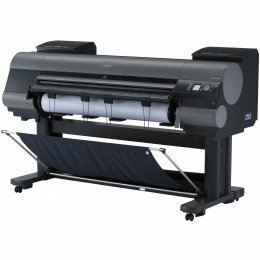 The iPF-785 can print a 24" x 36" (Arch D) print in just 21 seconds (economy mode), and is capable of holding 300ml ink tanks to lower the cost per print. With a built in hard drive of 320GB, you can store up to 500 print jobs at one time. Sorry, you can only compare up to 5 products. INCLUDES 1 YEAR WARRANTY. The Canon iPF-785 is a 36" 5-color large-format imaging solution, ideal for technical document professional areas. The Prograf 785MFP is a complete scan to print, file, share system featuring an M40 Scanner, a touch screen, an MFP stand, a computer and SmartWorks MFP software etc. The iPF785 also features a 320GB hard drive, a flat stacker/basket and the ability to hold 300ml ink tanks. 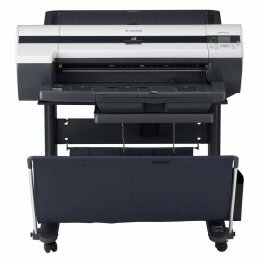 The Canon iPF780 MFP M40 is a 5-color, large-format imaging solution, designed for Technical documents and professional use. 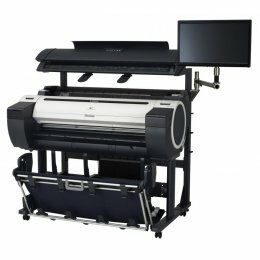 The ProGraf 780 MFP features the M40 scanner to make it a complete scan to print, file and share solution, including an MFP stand, computer, SmartWorks MFP software and a large touch-screen monitor. In addition, the iPF-780 includes a flat stacker/basket, as well as the ability to hold 300ml ink tanks to lower the cost per page. This Canon IPF 670 Printer comes with a stand and features a 5 color dye-and-pigment ink system with 130ml size ink tanks. It has a print plug-in for microsoft office. The Economy print mode on the Canon image-prograph 670 helps reduce the total ink consumption. INCLUDES ONE YEAR WARRANTY. 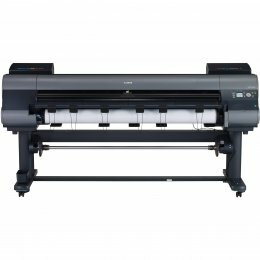 The iPF-8400SE is a 44 inch large format printer with a 6 color ink system, emphasizing on the use of red ink to produce high quality, eye-catching printouts. This Canon 8400SE features an economy printing mode which can help to greatly reduce printing costs. Its compact design makes it a great choice for an environment where space is limited. The imagePROGRAF 8400SE includes many applications and utilities which will help make the printing process simple and user-friendly for you. INCLUDES 1 YEAR WARRANTY. The Canon iPF780 36" Printer is a 5-color, technical document, large-format printer. 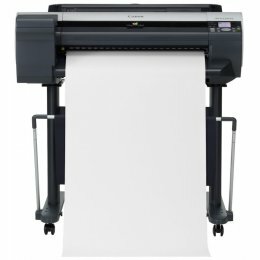 With a print speed of just 21 seconds to produce a 36" Arch D document (in economy mode), the iPF 780 will produce high quality posters quickly and efficiently. The PROgraf 780 features large capacity ink tanks that can hold 300ml, to lower the cost per print. With the latest software enhancements from Canon, this plotter will improve your workflow and increase productivity. INCLUDES ONE YEAR WARRANTY. Use the Canon-9400 to produce impressive 60 inch color printouts at a high speed. A large, bright and easy to read LCD screen ensures the IPF-9400 is user friendly. With a built in 250GB hard drive the imagePROGRAf can handle large amounts of data effortlessly and the user is able to reprint directly from the printer. 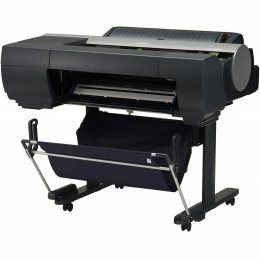 The Canon8400S is a wide format color inkjet printer which produces reliable results. It includes a large hard drive of 250GB which will increase productivity and allow the user to reprint directly from the printer. The 8 color lucia EX ink set of the Canon IPF provides professional results with vibrant colors, smooth gradients and even transitions. Use the accounting manager on the 8400S to calculate costs of ink and paper used per task. The IPF-8400S includes a one year warranty. 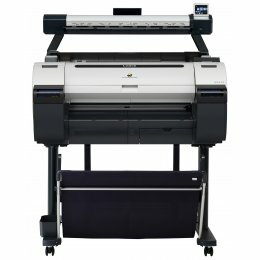 The Canon IPF 670 Printer is a user friendly large format printer which can scan to copy, USB and network. It includes a 5 color ink system which will print with a resolution of 2400 x 1200 dpi. Enjoy a lightweight, compact IPF Printer when using the Canon imagePROGRAF 670. 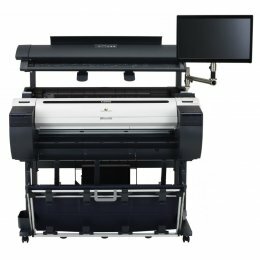 This imagePROGRAF 8400 has the new multi-sensor which improves color density detection, allows for a full print out to be completed within 15 minutes and is able to use non-Canon branded media. The accounting manager of the IPF-8400 keeps track of how much ink and media is used during printing. 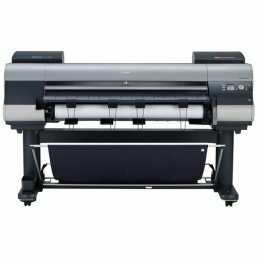 With the print plug-ins for Adobe Photoshop, Digital Photo Professional and Microsoft Office the 8400 is an easy way to print large format documents. A one year warranty is included with the Canon 8400. This iPF 6400 printer will give you professional image reproduction with consistent and reliable results. Included with the imagePROGRAF6400 is a Print Plug-in for Adobe Photoshop, Digital Photo Professional, and Microsoft Office which makes it easy to print large-format documents. You can be sure to maximize down time with this Canon 6400 as the ink cartridges can be changed without interrupting the printing. 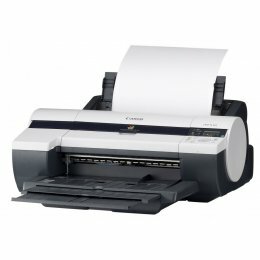 A one year warranty is included with this Canon IPF-6400. INCLUDES ONE YEAR WARRANTY. 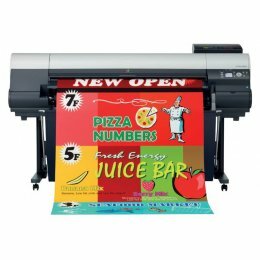 The iPF-6400SE is a 24 inch large format printer with a 6 color ink set emphasizing the use of red ink so that it can produce vibrant, eye-catching printouts. Enjoy the compact design of this Canon 6400SE, allowing it to be placed in smaller environments where space is limited. The Economy Printing Mode helps to drastically reduce printing costs. The imagePROGRAF 6400SE comes standard with many applications and utilities which assist in making the printing process very user-friendly. The accurate, reliable printing of the Canon6450 is produced by the 12 color LUCIA EX pigment ink set, which also delivers scratch resistance and smooth gradations. With a 250GB hard drive the IPF 6450 increases productivity as large files can be processed faster and files can be saved and then printed directly from the printer. 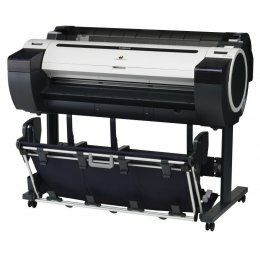 The imagePROGRAF6450 has the ability for the user to change the ink whilst printing. A one year warranty is included with the Canon-6450. INCLUDES 1 YEAR WARRANTY. 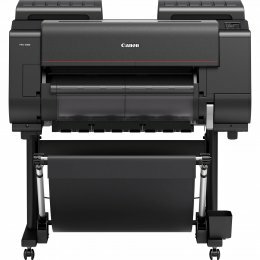 The Canon iPF680 is a 5-color 24" large-format printer that can produce an Arch D (24" x 36") print in up to 25 seconds in Economy mode. To help reduce costs per print, the iPF 680 can accommodate 300ml. ink tanks and allows users to use all the ink in the tank before replacing. The Prograf 680 features many user-friendly software solutions that are immediately ready to be used. 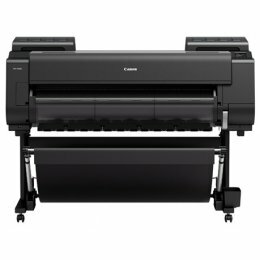 INCLUDES ONE YEAR WARRANTY.The Canon510 is a large format printer that will produce images with high quality and sharp detail. It includes user friendly features that enable printing straight from the camera. Reduce ink costs with the IPF-510s Economy Print Mode and Real Print Preview settings. 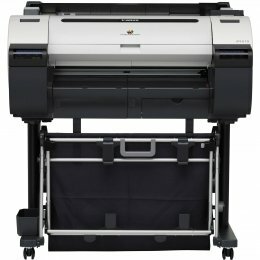 The Canon PRO-2000 Printer is a reliable large format printer which can produce images up to 24" at an exceptional speed. It features "hot swap" ink tanks for uninterrupted printing. Use the Canon imagePROGRAF PRO2000 Printerto print rich, deep color print outs. INCLUDES 1 YEAR WARRANTY. 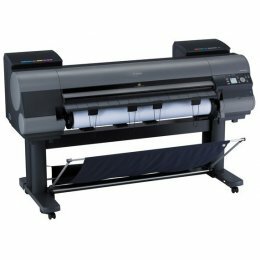 The Canon iPF610 24" Printer is a large-format printer that produces posters, clear text documents and crisp line drawings on a variety of media with eye-catching color and perfect detail. The iPF 610 features a Reactive Ink System with Cyan, Magenta, Yellow and Black colorfast dye inks and 2 channels of pigment-based matte black. With its large LCD Panel, the PROgraf 610 works with minimal noise to produce the best quality output at the highest possible speeds. The Canon PRO-4000 Printer will print at impressive speeds using its 8 color ink heads. Use the 3.5 inch LCD color touch screen to control the Canon Large Format Printer. 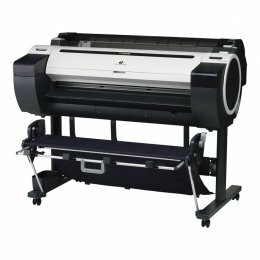 Add an optional dual roll unit to use as either an additional paper roll or as a media take-up unit for printed output when using the Canon imagePROGRAF PRO4000 Printer.